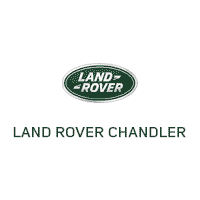 Find the Land Rover Discovery Sport for sale at Land Rover Chandler. This SUV provides your drive with a plethora of performance features that will keep you safe on and off the beaten path. There’s also an abundance of safety features to give you peace of mind on the Gilbert roads. Our sales team is standing by to get you behind the wheel of the model that best suits your budget and driving needs, and we always have rotating vehicle specials to make the car-buying process that much less stressful. When you’re ready to take your Gilbert commute to the next level, stop by Land Rover Chandler to pursue the Land Rover models for sale in Chandler, AZ! Contact us today to see how the Discovery Sport stands up to competition like the Acura MDX and BMW X5.